18/1/19 – Max is in a foster home with a view to adoption! Little Max is very sad to suddenly find himself in kennels after his beloved Dad was taken into a hospice. 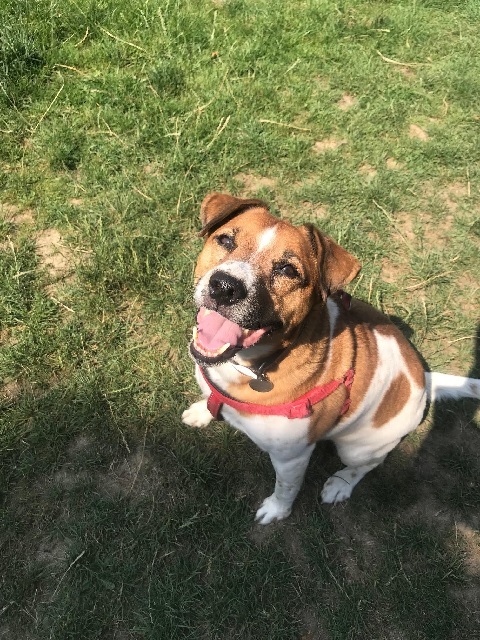 Max is 9 years old and is in the care of South East Dog Rescue in Maidstone, Kent, but is pleading for someone to help him and offer him a new loving home. Max is so confused about why he has had to leave his former happy life and stay in kennels. He’s such a lovely little lad and will make a wonderful companion for a semi-retired or retired person who has the time to spend with him. It isn’t known if Max is used to children, so he is looking for a home without children. He is mixing well with other dogs at the kennels, but, as he has always been an only one, it is thought that he would prefer to be the only dog in his new home, or perhaps share with a calm female dog. Due to his Dad’s illness, Max hasn’t been walked for some time and he needs to shed some weight. He loves to play with his toys, so this should help with his weight loss. Max is currently receiving treatment for an ear infection. He has been neutered, vaccinated and microchipped. Little Max has so much love to give and desperately needs to find another person to love him as much his Dad did. Could you help Max? Email: southeastdogrescue@hotmail.com and they will send you a form to complete. Please mention that you saw Max on the Oldies Club website.